HOME PRODUCTS &AMP; SERVICES DIRECTORY OF SUPPLIERS ADAMS MAGNETIC PRODUCTS CO.
Adams Magnetic Products is a custom manufacturer, fabricator, and distributor of all types of permanent magnets and magnetic assemblies. We have been engineering and manufacturing magnetic products since 1950. Let us put our experience and knowledge to work for you by employing our highly-skilled technical experts to help solve your magnetic needs. We have experience with hundreds of magnet applications, so challenge us with yours. Adams has warehousing, fabrication, and magnet test labs in our ISO 9001:2015 certified facilities in Elmhurst, IL, and Carlsbad, CA, and we can offer short lead and transit times and industry leading OTD performance from coast to coast. In addition to thousands of stock standard shapes and sizes, we offer custom fabrication services to deliver the magnet you need based on your specifications. We fabricate assemblies of ferrous and non-ferrous materials, large to small, and everything in between. Our technical experts are here to help solve your magnetic requirements including material selection and optimization to determine the most cost-effective material for your application. Advancements in components for batteries, diodes and LED's, and innovations in consumer and commercial products. Look for your first issue of the Electrical Components newsletter to arrive soon. Questions about Stabilizing & Calibrating Magnets? 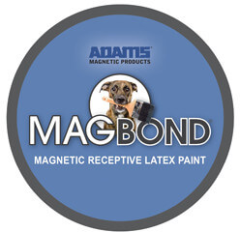 View More Product Announcements from Adams Magnetic Products Co.